As the number of tigers is decreasing day by day, we need to take preventive measures to save them from getting extinct. Numerous efforts are being carried out to save their species, and Project Tiger is an important movement aimed at the conservation of tiger in India. The habitat required by the Tigers should be made proper, and any cutting of trees in that area should be avoided. Being the national animal of India, it is our duty that we safeguard the wildlife properly. Many projects taken by India has led to a decrease in the depletion of tigers. Many conservation areas were created to make sure that no human could enter the area and do any harm to the tiger or its habitat. Project Tiger was first initiated in the year April 1, 1973, and is still going on. This project was started to save tigers. The much-needed project was launched in Jim Corbett National Park, Uttrakhand under the leadership of Indira Gandhi. The objectives of the Project Tiger was clear- saving Royal Bengal Tigers from getting extinct. The major cause of their depletion is humans, and so all the conservation areas are made human free. They made sure that the place that tigers lived in was also safe and secure. 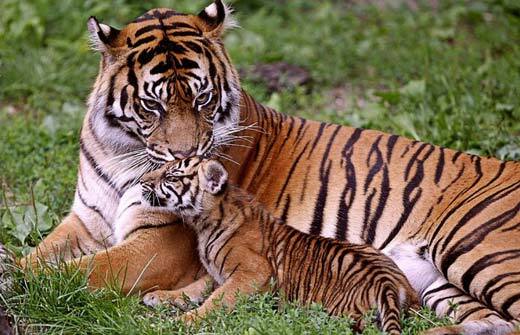 Project Tiger has been successful in increasing the population of the tigers. The number has increased from 1200 to around 5000. The project team has been doing its work with full dedication, and all national parks are putting efforts in doing the project. There are around fifty national parks and sanctuaries that are involved in this project. 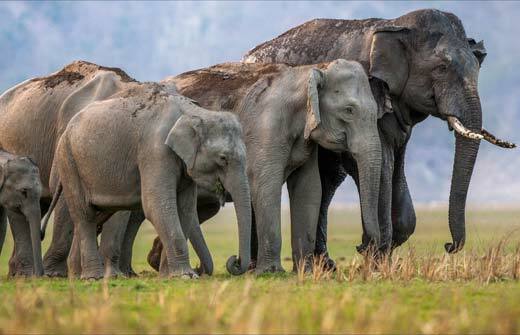 Jim Corbett, Bandipur, Ranthambore, Nagarhole, Nazgira, Dudhwa, Gir, Kanha, Sunderbans, Bandhavgarh, Manas, Panna, Melghat, Palamau, Similipal, Periyar, Sariska, Buxa, Indravati, Namdapha, Mundanthurai, Valmiki, Pench, Tadoba Andhari, Dampa, Bhadra, Pench (Maharashtra), Pakke, Nameri, Satpura, Anamalai, Udanti- Sitanadi, Satkosia, Kaziranga, Achanakmar, Dandeli Anshi, Sanjay- Dubri, Mudumalai, Nagarhole (Karnataka), Parambikulam, Sahyadri, Bilgiri, Kawal, Sathyamangalam, Mukandra, Srisailam, Amrabad, Pilibhit, Bor, Rajaji, Orang and Kamlang are the national parks involved in the Project Tiger. Recent additions to this project are are: Ratapani Tiger Reserve(Madhya Pradesh), Sunabeda Tiger Reserve (Odisha), and Guru Ghasidas (Chhattisgarh). There were many obstacles in the project like poaching and the Forest Rights Act, but all were handled well by the government, and the project is running in full speed. 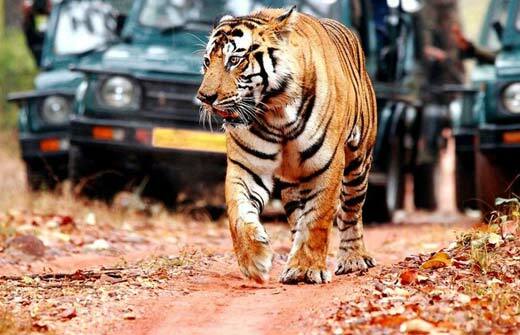 The journey of increasing tiger population has not been easy. Around the 1970s the tiger count was only one thousand and two hundred, but according to the recent census, it has increased to five thousand. In fact, there has been a thirty per cent rise in the population in the last eight years. This says a lot about the efforts put in by the government and the national parks. While the whole world is seeking methods of increasing the number of tigers, India has already started achieving milestones through Project Tiger. From turning hunting grounds to tiger reserves, India has shown its magic of conserving wildlife in general. They have also updated the acts regarding forest and wildlife. Any kind of illegal trading of animals has been banned. Human interference in any of the reserves and forests is not allowed. A proper habitat has been created for the Tigers to hunt, live and survive. The world has recognised this project as the ‘Most successful project’. The project is still going on and will continue until the Tigers don’t come out of the endangered species category. The next recording of the population is going to be in 2019 and the number recorded will be a mark of success. Any successful project has to bear a lot of pressure and has to face many challenges. Making Project Tiger into a successful piece of work, there are efforts and dedication of various government officials. During ancient times, it was difficult to take off the lands that were used for hunting. Many didn’t like it and raised objections. But the project happened nonetheless. Another major challenge was poaching. Many individuals use to sell tiger bones and skin to international markets. This was a major business for them and earned good money. After all the initiatives taken by the project, they couldn’t stop illegal trading of animal skin. Individuals used to break the law and sell them to international buyers. This triggered the depletion of tigers. The government officials made strict law and grounded the problem. During the building of sanctuaries and reserves, the human population living over there faced the problem and therefore raised their voice against it. They passed out a Forest Rights Act in which they stated their difficulty. They wanted to have space for them as well and did not want to move from their original area. In some national parks, humans still reside on the outskirts of the park. They have come in peace with the Project Tiger and understood its importance. Though some individuals are not very sure about the decision, the project is happening in full speed. With the increasing success of the project, the demand for human help came into the picture. Starting from building national parks to handling it, every aspect of it generated employment. When the grounds were converted into national parks, general labourers got work. And as the project is still exceeding, there is always a need for labour. Other than that, builders and architects are needed to plan the area. The Project Tiger made a point to appoint the best worker, new or old. After the work was done and the wildlife was settled, the national parks require management. There is a conservation team for every state. In that team, managers, supervisors and employees were recruited. To make people aware about the existence of the Project Tiger and to make them realise the importance of the problem, a marketing team was hired. Posters, banners, television commercials and social media helped in spreading the word. The breeding of the animals is done by the experts. This part of the job is ever increasing due to the spread of the project. They make sure that all the facilities, species and everything is proper for the breeding of the tigers. The most significant job that gets majority profit is the tourism industry. With national parks exceeding and rare animals being conserved, tourists visit the place often. The national parks have started to keep an entry fee and also has safaris for extra income. The local guides are getting more opportunities to do their jobs. This way the Project Tiger was not only useful for tigers, but for humans as well. How Project Tiger helped in protecting other wild species? After seeing the success of Project Tiger, the government updated the Wildlife Protection Act of 1972. This made sure that along with tigers, other wildlife also gets protected. 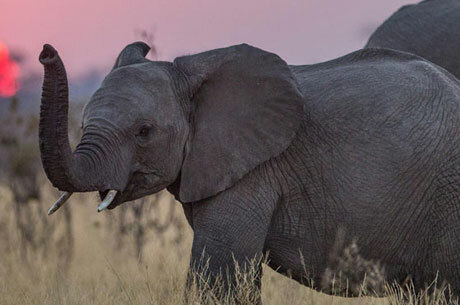 One by one, every national park took an initiative to save endangered species. For, e.g. : Gir conserves lions, and Kaziranga conserves one-horned rhinos. The project made people realize the importance of other wildlife. As hunting was banned to save tigers, other animals were also saved from the brutal clutches of the game. Eventually, the population of many animals started increasing. Tiger reserves also have various other animals. So along with the tigers, even they are conserved. All decisions taken in accordance with Project Tiger helped in the growth of other species. Many national parks started having their own individual projects. Despite all the challenges, the project made sure to save animals from the hands of humans. 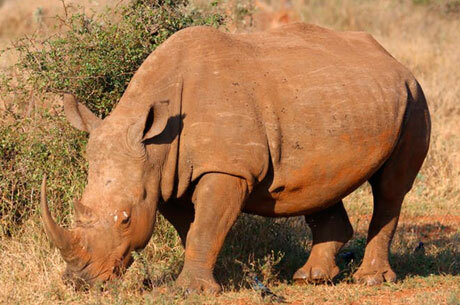 Government became more aware of the species that are depleting. The awareness made them realize to do something about the other endangered species as well. Now along with the national animal of the country, all the other species are also being saved. Project Tiger has been undertaken by more than fifty national parks, and every park is putting an equal effort to save the endangered species. Increasing four thousand tigers in the past few years is one of the landmark achievement of the project. Humans have stopped hunting and illegal trading of tiger skin to a very large extent, it has almost stopped. The project has made sure that tigers do not have to suffer because of selfish human needs. All the other animals that were depleting because of human interference has stopped. The national parks are taking initiatives to save and conserve every animal. People have become more aware of the wildlife problem and have taken steps to stop them from decreasing. Project Tiger also generated jobs for many individuals. The wildlife has been facing little fewer problems since the project started. Project Tiger has saved not only tigers but also saved other aspects of wildlife! This is where the project started and is one of the oldest tiger reserves of India. The forest was set up in 1936, much before independence and it became a tiger reserve in 1973. 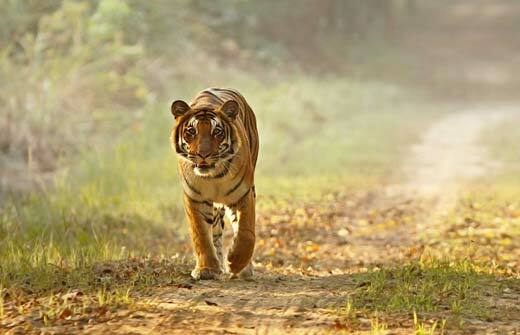 There are zones in Jim Corbett for tigers- Dhikala, Bijrani, Jhirna, Domunda and Sonanadi. They are well kept, and the regulations regarding the tigers are very strict. Other than tigers, Corbett has varied types of birds and animals. The place which was the favourite hunting spot for kings has now turned into one of the largest tiger reserves in India. The jungle was created into a tiger reserve in the year 1973. The reserve is home to various other animals and birds. Apart from tigers, Ranthambore is known for its population of leopards, sloth bears, hyenas, fox and jackals. The reserve covers more than thousand square feet of area. If you want a maximum number of tigers, then you should come in the months of February and March. Spread around an area of 2585 sq. km, you can see the highest number of Royal Bengal Tigers living here. It is one of the largest mangrove forest and tiger reserve. The tree “Sundari” is in excess here and covers the majority of the forest, that is why the name Sunderban. According to the old census, Sunderban approximately consists of four hundred tigers. It also preserves other animals, birds and aquatic animals. Another national park with the highest population of tigers. The park is the most beautiful place to watch animals and birds, the wildlife species residing here are varied and huge in number. Many people know this place because of a tigress named Sita, the most photogenic tiger. They have not only the highest number of tigers, but also the most attractive ones. Visit in the months of March and April, and you’ll be able to enjoy looking at various animals. Tala zone in the park has the most number of tigers. The habitat of dry deciduous forest and hilly pathways suits the lifestyle of tigers. The animals that are in abundance here are tiger, leopard and crocodiles. There is also a fort inside the tiger reserve named as Kankarwadi fort. 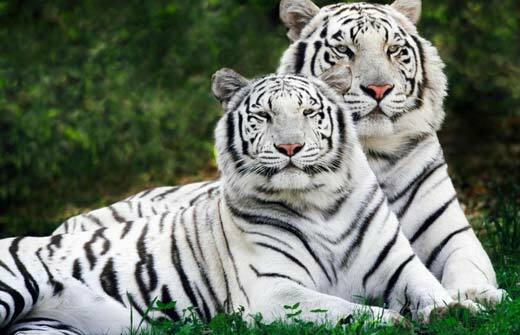 The place provides timely breeding of tigers to increase the existing number. The park turned into a national park in 1978 and had been doing a great job since then. You should visit Sariska in the month of November or December for a thrilling and amazing experience. Not the biggest national park, but is titled as the most maintained national park of India. The authorities make sure that the park is left clean after tourists have left and have strict rules on cleanliness. The park took part in the Project Tiger in the year 1994. The park also shelters leopards, wild dogs and various other animals. Along with that, there are two hundred species of birds residing here. The national park is also known for its breathtaking views, caves, perennial springs, waterfalls and mind-blowing nature. Situated in Kerala, this national park has to be one of the best places to nurture nature and explore wildlife in India. The park is mainly known for its population of tiger and elephants. The park is actually built around the Periyar lake and is the extension for the same. There are only thirty to forty tigers right now in reserve, but the breeding process will soon increase the number. Visit this national park during winters because the climate is very soothing and calm. 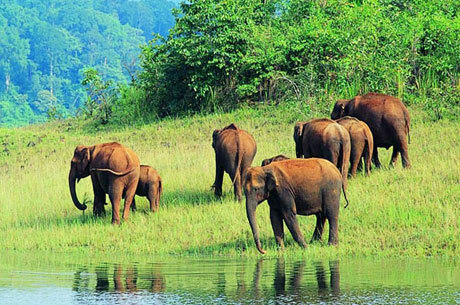 Along with spotting wildlife, there are other various activities that you can do in Periyar National Park. It roughly covers around eight hundred square kilometres, but it conserves many endangered species. 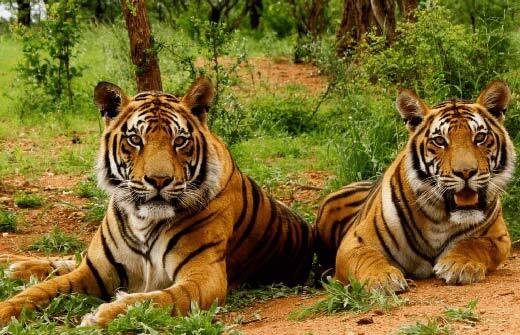 Situated in Bandipur, the national park started conserving tigers from the year 1973. The journey of turning a private hunting ground into a national park with amazing wildlife has been tough, but it managed to survive the obstacles. Along with the wildlife, the park is also rich in nature. A wide variety of flowers and herbs can be found here. There are various activities which happen in and around the park, which makes it a good tourist spot. The park is close to Mysore and is one of the most scenic parks you’ll ever visit. The count of tigers is not very high, just forty-eight, but the park is trying to increase the number. Another speciality of the park is that it holds the largest number of plant-eating animals in Asia. Along with rich nature, Nagarhole also accommodates various valleys and waterfalls. The entry fee is minimal, and the service is also amazing. Individuals should plan their trip to Nagarhole in the month of October or November. The national park was turned into tiger reserve in the year 1992 and is situated near Satpuda hills. Currently, the number of tigers present in the park is twenty-five. 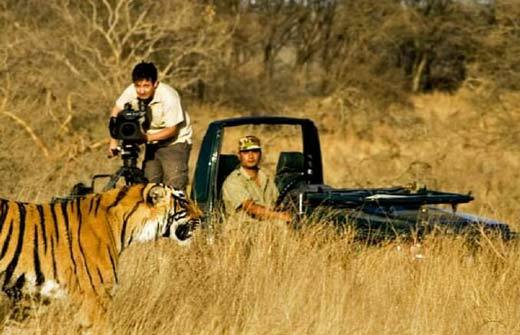 Though the numbers are less, the chances of spotting a tiger is a little high. The area of the park is comparatively smaller, and the animals hunted by the tiger are on the banks of the Pench River. So if you want to spot a tiger, you can spot it near this river. Madhya Pradesh seems to be having a good number of tiger population. The soil which covers the land of Kanha is of a particular type known as Kanhar and hence the name. The flora that covers the park is mesmerizing, and because of the vegetation surrounding Kanha, it is titled as one of the most beautiful tiger reserves of India. The streams that flow in Kanha just adds to the beauty of it. 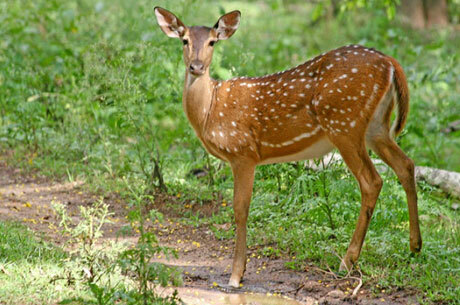 Another animal which is endangered and can be found here is Barasingha, the swamp deer. 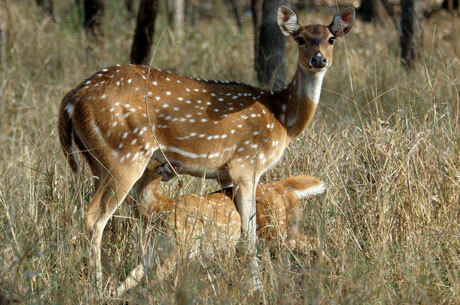 Other than this, Kanha shelters a large number of wildlife and birds. Kaziranga was built like a tiger reserve in 2008. With its area of 430 sq. km, this place is the most visited wildlife destination of India. Covered with meadows, marshy tidal ponds, and thick backwoods this place shelters varied wildlife. Exploring wildlife is fun when you are in Kazaringa as the place gives something different with every step you take. The Tigers are increasing in Kaziranga because of the conservative steps were taken by them. It is one of the most visited national parks in India due to the variety it presents to the tourists. It is a heritage site of the world with two third of one-horned rhinoceroses over here. Everywhere you can see the pug mark of tigers and this territorial marking will definitely keep you thrilled and amazed. The park is open from October to May depending on the condition of the weather and the road. Continuous efforts are being put to preserve the magnificent species of tigers from extinction. 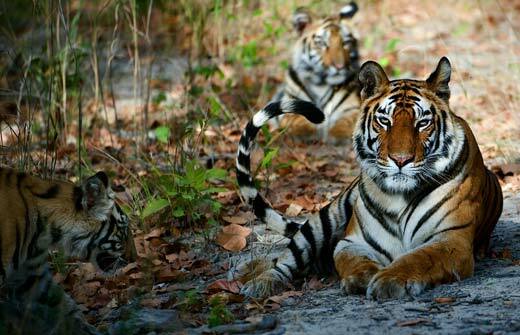 This national park is a heaven for the safety of tigers. This Tiger Reserve was taken in the project in the year 2015. The reserve is situated in the midst of Shivalik Ranges and the Indo-Gangetic Plains. Few endangered species also finds a home here. 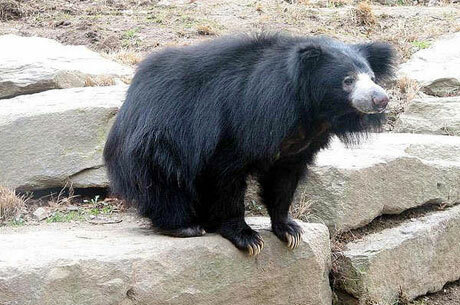 After tigers, another animal which attracts the majority of the tourists is a Himalayan black bear. The chance of spotting a tiger is good in Rajaji, and one should have a keen eye to spot it. 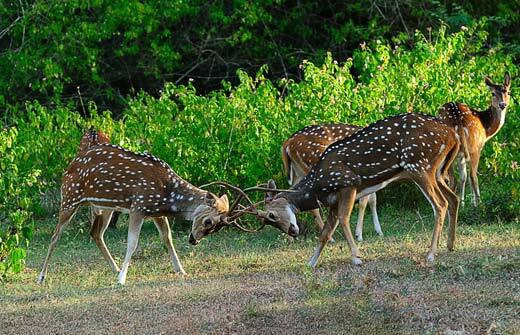 April, May and November are the most suitable months to visit Rajaji National park. It is a wonderful place for photographers and nature enthusiasts. The amazing diversity of flora and fauna that you’ll see over here will keep you captivated for a long time. You can see the royal tiger roaming proudly in the park. The safaris over here give you an opportunity to soak up into the adventure of this place. The snow capped dense mountains and glaciers offers the bird trekkers and adventure lovers the joy of their life. The park in total accommodates six districts and six rivers in Assam. It is situated across the foothills of the dense Himalayas and is a world-famous reserve for the protection of the tiger. Extended over an area of 500 sq. km this park has enriched biodiversity. The park is an attraction because it mainly conserves tigers and elephants. Rivers flowing through dense forests, hills and wildlife is what makes a scenic spot for tourists. Other than gazing at wildlife, Manas has various other activities like elephant safari, boating and tiger spotting to name a few. It is a house to many other endangered species. The best time to visit Manas is from October to April; the climate is clear during these months. Rainfall is heavy in Assam, and so the national parks mostly remain close. It also holds the prominence for being the only park that offers excursion opportunities at night so that you can explore the entire wildlife and its pristine beauty. Being one of the oldest homes of tigers the name Tadoba comes from a deity who lost his life while having a terrifying war with the tiger. Spread across 625 sq km, you’ll have a lot to see and explore once you’re over here. 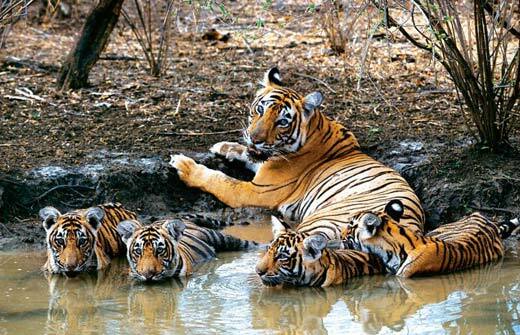 It is the 28th Tiger Reserve Project of India and is an absolute galore for the wildlife lovers. You can find March crocodiles also over here along with the sprinkling blue lake where you can find water birds like Jacanas, Ratel, Cattle Egrets, and flying squirrel. The main attraction of Tadobal National park are tigers that attract the tourists to come over here. You can find many other species of wild animals over here like Chichewa, Dhawada, Bija, Bel, Behada, Ain, Arjun Phetra, Salai, Semal and Surya. The tracks of this natural wildlife wonder are one in a lifetime experience. If you’re lucky, you can also find Palm Civet wandering at the night. The best time to visit this park is from October to June. You can also have the glimpse of the bewildering beauty of this national park during the monsoon. In 1958 Dudhwa National park was declared as a wildlife sanctuary. It then became a national park in 1977 and tiger reserve project in 1988. It extends in an area of 11 Sq. KMS consisting of marshes, dense jungles and grasslands. Swamp deer and tiger are the major attraction of this place. You’ll be glad to know that there are more than 1600 tigers over here and is the home of 38 varieties of mammals. You can also find diverse species of colourful birds over here. The Bahera Terminalia Balerica, Shisham Dalbergia Sissoo, Jamun Syzygium Cumini and Sal Shorea Robusta are the major floras of this park. Different varieties of fishes can also be found over here. It consists of two core regions named as Kishanpur wildlife sanctuary and Dudhwa National Park. The best time to visit this park is between mid-November to June.